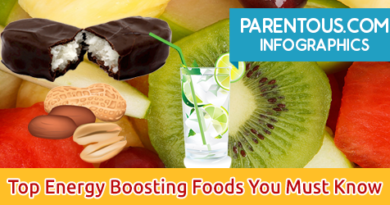 We all know that skipping breakfast can create a lot of behavioural patterns in children. Statistics have already proved that children who skip breakfast are poor performers. My children like many children are picky eaters. It is a task to bring the two to the dining table especially during the rush hours of morning. They would love to skip breakfast especially when it is not their choice. So any traditional breakfast for the morning like idli, dosa, bread, cornflakes are not done. I thought of an idea where they don’t miss their breakfast and yet enjoy and so found a way. My sister a nutritionist once suggested I go to the supermarket and pick up a packet of all multigrains and nuts like walnut, almonds etc. Sprout the multigrains, dry roast them and grind them to a powder and store it in airtight container. In the morning, all one has to do is boil them without lumps and mix it with milk to make a multigrain porridge. The thicker the better to take care of the nutritional needs of my children in school. This is an easy to make breakfast, I pack as much goodness as possible by adding a dash of ground flax seeds( now tell me which child likes nuts like almond, walnuts and flax seeds, so I disguise them), a spoonful of date syrup, honey according to the sweetness required and the porridge is done. They don’t even know what goes into the porridge and so they eat all the nutrient food that they hate. Moreover it gives the mom in me a satisfaction that I send a well nourished child to school. Rest assured, an alert and active mind can do wonders in their curricular and co-curricular activities without the stress of tuitions. And perhaps the alertness is what making my children star performers in their school (my daughter recently scored a CGPA of 10/10 in her CBSE finals and my son is a ‘A+’ performer without much efforts). The attention they pay in class, just recalling their school work, applying their mind and enjoying their childhood by playing even a day prior to their exams helps them to get a top grade and shine in co-curriculum. Instead of private tuitions they spend their time making soccer moves, learning art and music. Perhaps the breakfast does the trick. When I have no time to do this, I instead slightly sauté the branded multigrain atta available in markets in ghee and add ground walnuts, almonds, cashew to the powder to make it richer. (I make a powder of the nuts after dry roasting them in microwave and store them in airtight containers, it is easier to handle). Or, even when this is difficult, I buy the health mix available in the stores. Generally children find it easier to gulp in the morning rather than eat their solid breakfast. To break the monotony, I alternate it with rice and dal porridge. I mash a ladleful of boiled rice, dals and vegetables, to this I add a little rasam powder for that spiciness and the goodness of vitamin C from lemon juice. The soupy consistency which is warm easily slips into their tummy in the morning. This is ideal during winters to keep the child away from common cold. Yet again, I had a problem. I told you my children are picky eaters, the degree of pickiness varies too. If one likes to have multigrain porridge, the other loves rasam soup. So, between them I told them to make a timetable where they would decide the menu when to have their choice. 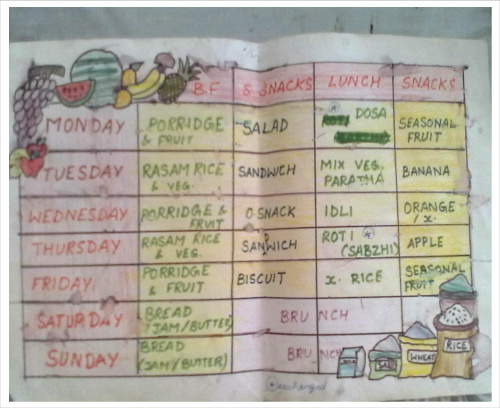 They alternated their choices for breakfast and gave me a lunch timetable too. Today, three years later I don’t need a timetable. They have learnt to have both the multigrain porridge and rasam soup. A nutritious and well balanced breakfast is most important for an alert and active mind in the school.